500 Veteran and Vintage motorcycles will ride out as a group when the British Motor Museum hosts the nostalgic Vintage Motor Cycle Club Banbury Run on Sunday 19 June. Now in its 68th year, it is the largest gathering of pre-1931 motorcycles & 3-wheelers in the world and visitors will be able to see the motorcycles start and finish at the Museum. 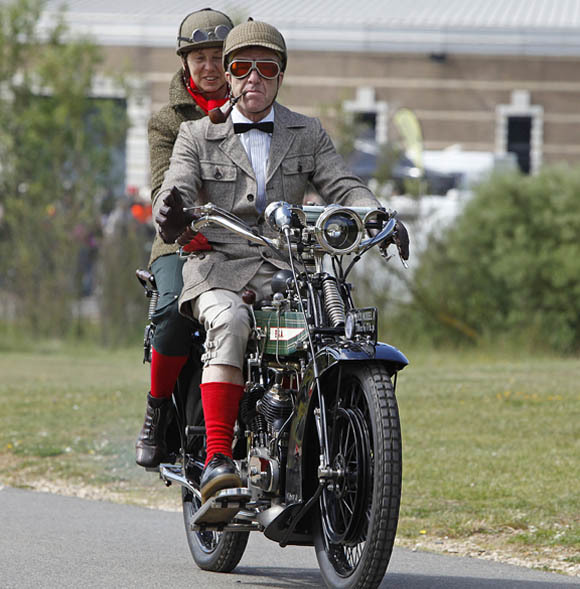 The Banbury Run is aimed at those who enjoy the thrill of riding with other Vintage, Veteran & Pioneer bikes. In addition to the Run, there will also be Club and Trade Stands, 100 Autojumble pitches and special interest displays within the Museum grounds. Camping is also available on the Saturday and Sunday night. The Museum will be open from 9am – 5pm with the Banbury Run beginning at 10am. Riders will start at 5 per minute. Spectators tickets for the Run cost £8 in advance or £10 on the day for adults, children and concessions and include entry to the Museum and new Collections Centre.